Virginian Dan Harnsberger has been the subject of several media stories this week. In case you missed them, Harnsberger is a real estate agent by day and a professional wrestler for Appalachian Mountain Wrestling by night. It’s his wrestling name and his persona that has generated the interest: Harnsberger is the Progressive Liberal. And yes, he’s a wrestling “heel” or bad guy. His moves include smugness, condescension, and whining, none of which do him much good in the ring but they all do wonders for his heel persona. – Keeping young people from leaving. – Bringing more tourists to the Mountain State. – Perhaps most important, changing the way other Americans, especially those who run companies that can bring jobs here, view West Virginia. Myer also adopts Ruby’s suggestion for attracting people to West Virginia – using social media. But do positive West Virginia/Appalachian images on social media have any chance when stacked against the overwhelming number of stereotypical images found there? On Sunday, Mr. Trump continued his attacks on the media. He posted on Twitter an old video clip of him at a World Wrestling Entertainment event in which he appears to be pummeling his opponent, who has the CNN logo superimposed on his head. Leaving his opponent on the ground in the video, Mr. Trump walks away. I think Trump’s use of professional wrestling to make its point is not accidental. Professional wrestling exists in a clearly-delineated, good vs. evil world and one of the reassurances for its fans is the knowledge that the good guy, despite all the bad guy’s dirty tricks, will win in the end. I personally find the Trump video appalling in its advocacy of violence toward the media; hopefully none of his followers will take up Trump’s not-so-subtle suggestion of what should be done with “fake news." 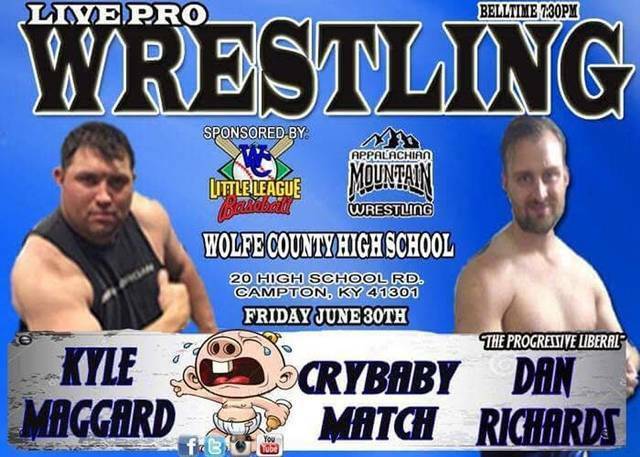 To that end, the “Progressive Liberal” wrestler embodies all those exaggerated descriptors of liberals that Fox News, the right-wing media, and Ogden newspapers have been pushing non-stop for most of the 21st century. That most are either untrue or a gross simplification of progressive beliefs is no doubt irrelevant to Trump’s base -- they now have, as the video demonstrates, a leader who will take action against all those “bad hombres” in fake news. The state needs to shed its stereotype. Unfortunately, I don't know how we do that.